Another look fit for summer, from some time ago. I'm starting to like wearing red after almost a year of not using red at all. When used in small doses it simply looks fantastic with different shades of blue. 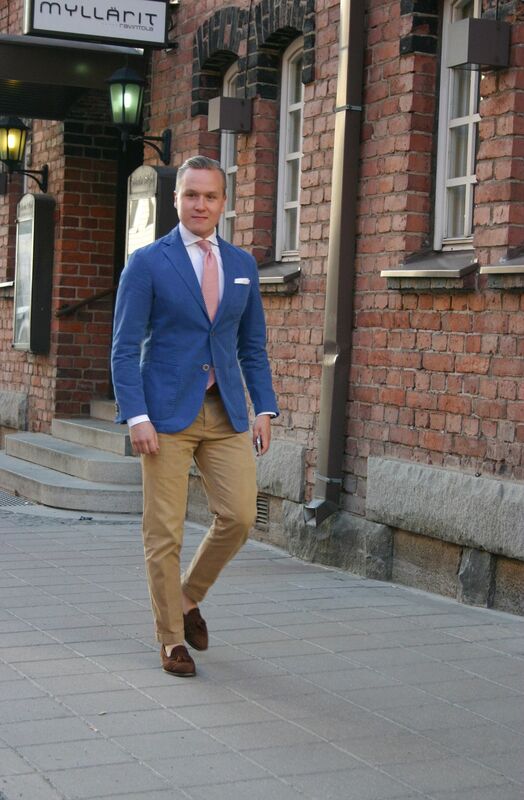 The jacket is from LBM 1911, shirt from SuitSupply, tie from Berg & Berg, belt from Alden, trousers from Brooks Brothers and shoes from Alden. 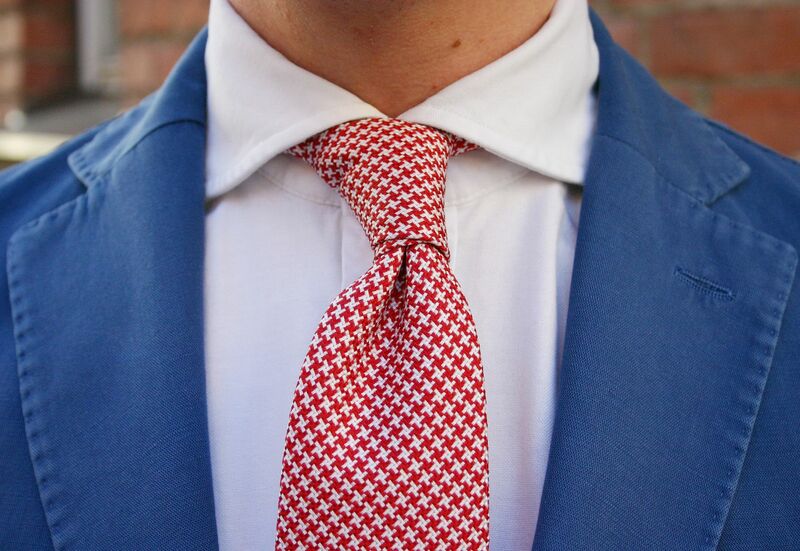 This Berg & Berg tie is simply fantastic. The color is great, not too bright from distance, but when you get a glance from up close you get a fresh vibrant red and a neat houndstooth pattern. I also like this Berg & Berg tie more than the previous silk ties I have from them, now I think they've nailed it when it comes to the weight of the silk fabric and the thickness of the interlining. Fantastic stuff and ties a wonderful knot. 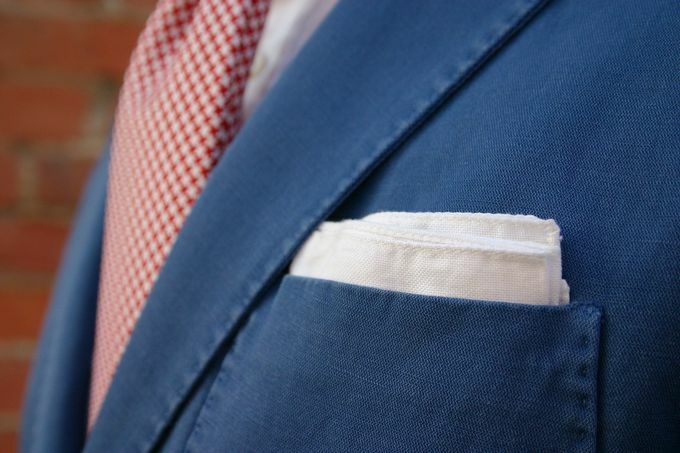 And last, one of my go to folds with a white cotton pocket square. Keeps things simple.